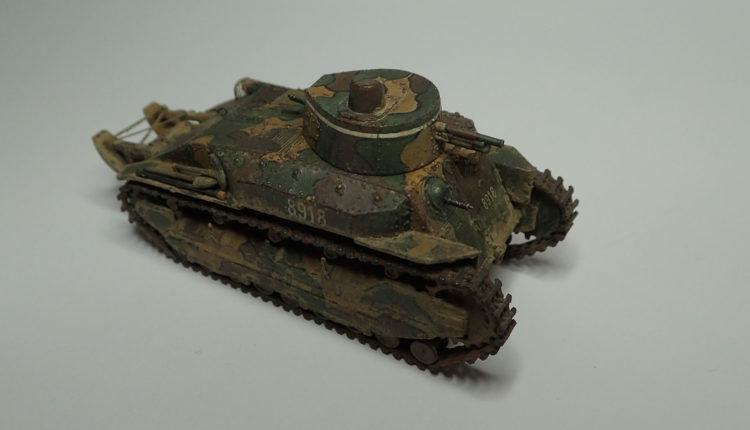 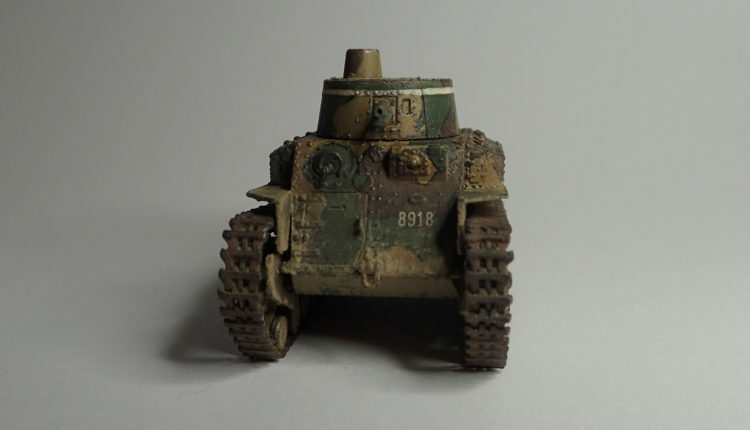 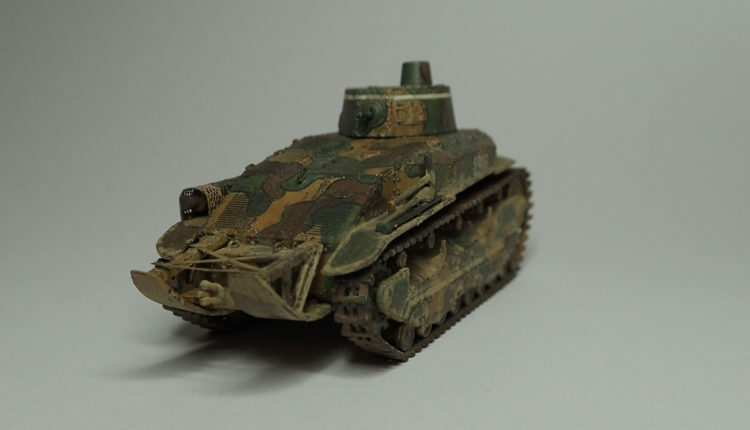 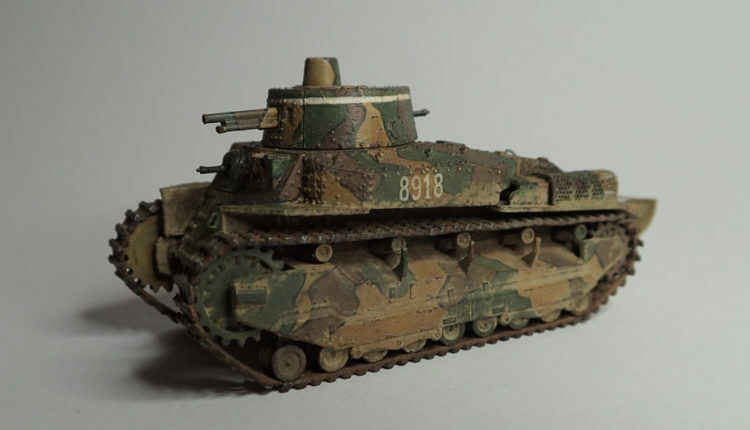 Plastic model of Japanese medium tank from World War II. Japanese medium tank from the Second World War period, used in battles in China, clashes with the Red Army in 1939 and in the Philippines in 1944. 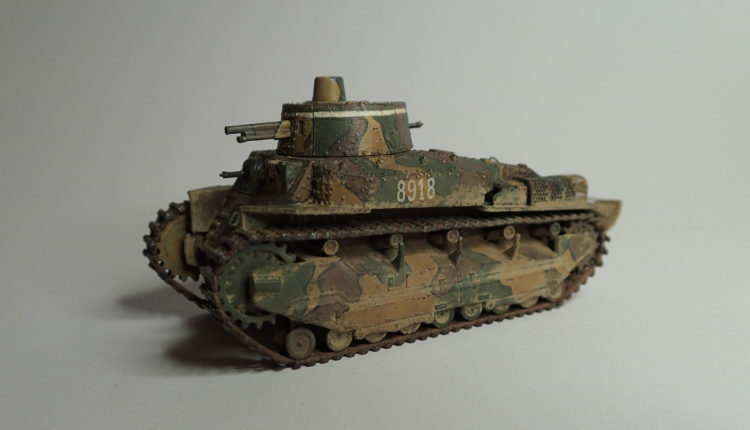 The construction of the vehicle combined the solutions used in the British tank Vickers type C and the unsuccessful predecessor The Type 89, i.e. 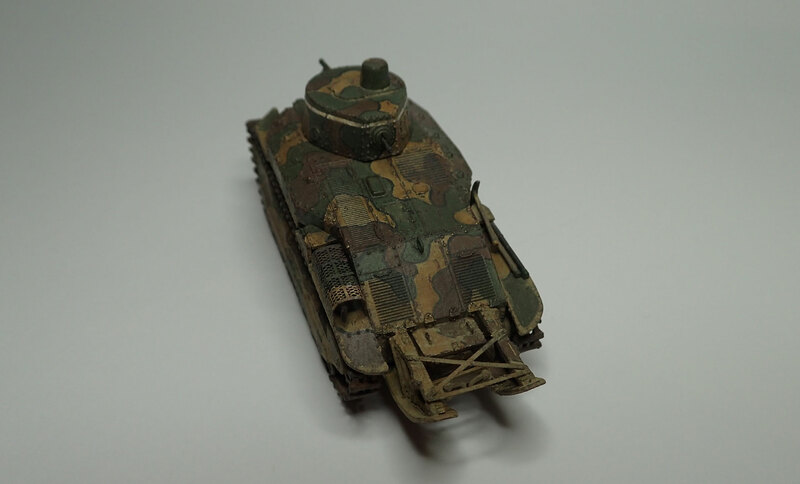 The Type 87. 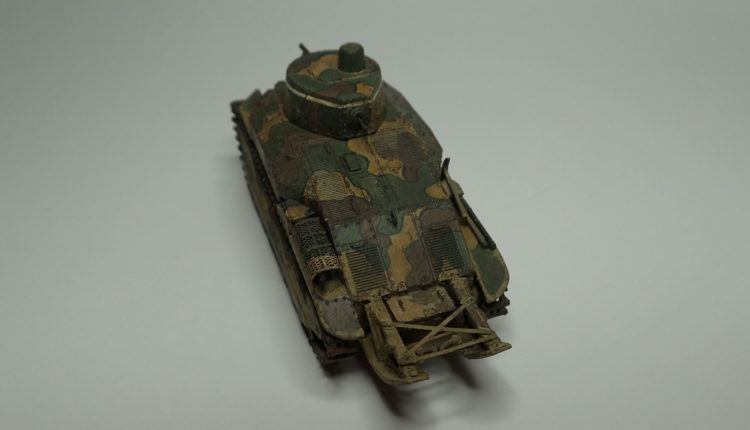 The tank had a 57 mm cannon and two machine guns, and the armor was up to 17 mm thick. The initial units were driven by a 6-cylinder gasoline engine with a power of 115 hp. 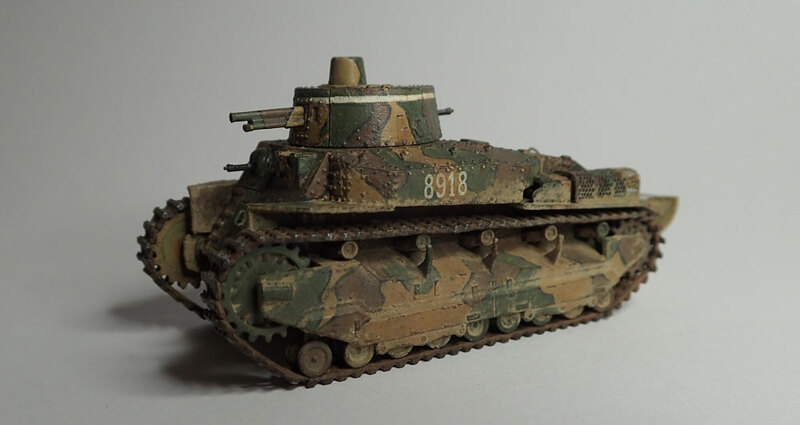 After a year, minor modifications were introduced to The Type 89 tanks, and in 1936 the petrol engine was replaced by diesel engine with 120 hp, and then another one with 160 hp. 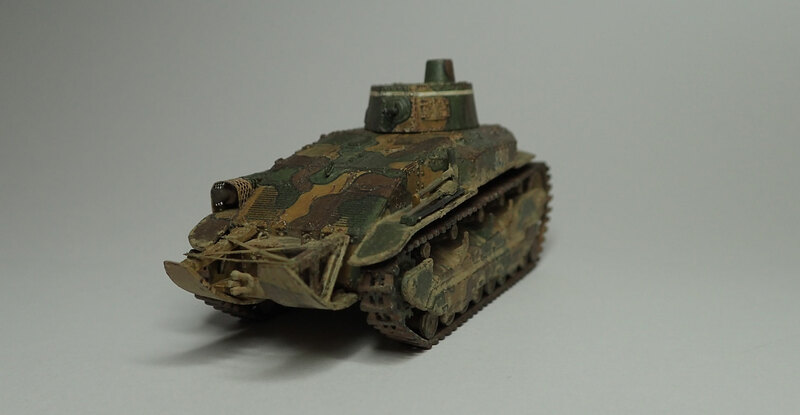 A year later, some of the existing The Type 89 tanks were equipped with a more powerful cannon from The Type 97 Chi-Ha. 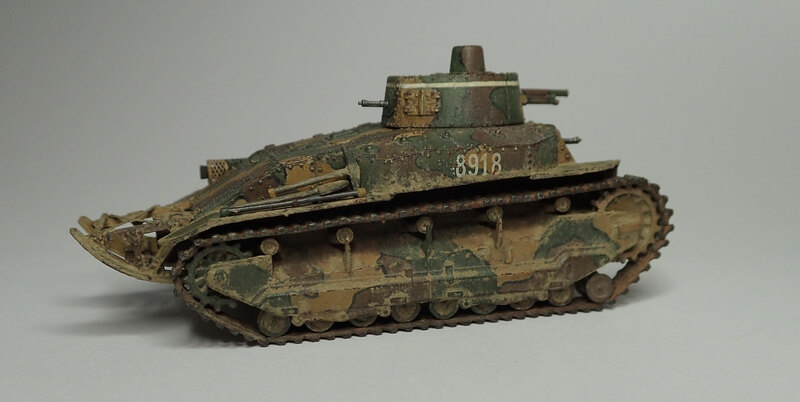 Interestingly, The Type 89 Otsu was the first mass-produced diesel-powered tank. Production of The Type 89 started in 1929; more than 400 units of the tank were created. 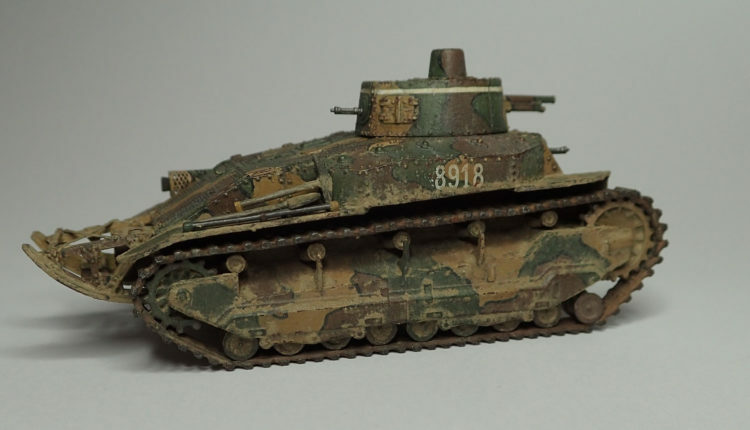 The model shown in the pictures is a late production with a petrol engine, called “Kō”, painted on the model of the 7th Tank Regiment.